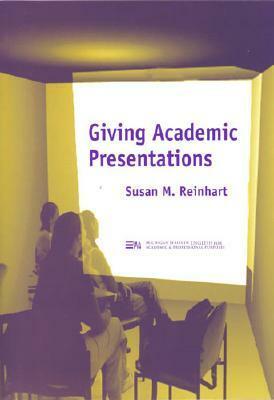 "Giving Academic Presentations" provides guidance on academic-style presentations for ESL students and native speakers. One goal of this text is to make presenters aware that giving an effective presentation requires mastery of a broad range of skills. Students will learn how to choose an appropriate topic, create effective visuals, and design a speech opening. *opportunities for evaluating one's work and the work of others. Author Name: Reinhart, Susan M.